We work in close coordination with the team members and packaging professionals; they ensure that the products are packed sternly using the finest quality packaging materials. Keeping in-line with the globally accepted standards, the raw material used for production is of high-grade. Thus, we always keep a check on the final product to make sure that the same is defect free. 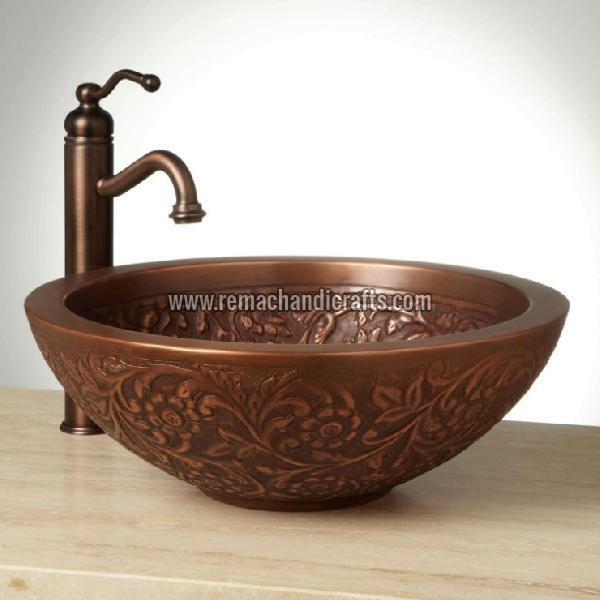 The 1006 Coram Copper Vessel Sink, delivered by us, is largely appreciated for its sturdy make. Sink Material - Copper Made of solid, 18-16gauge, and double-wall copper.